BEAUMONT, Texas - Sept. 21, 2016 - PRLog -- Back from his tragic motorcycle accident last year, NBC's "The Voice" season one contestant Jared Blake who debuted his new single "Stomp" on Sirius XM The Highway's "On the Horizon" show last year, is playing the 1st annual Lace, Grace and Gears Rally. With nearly 7-million American female riders, the LGG Rally is expecting 5,000 + attendees. Looking to set a record of women riders in one location, they've invited Jared Blake to headline the entertainment. Blake's lyrical past includes songwriting for the catalog giant Sony ATV song cuts on another "The Voice" Alum Texas star, Curtis Grimes. Blake's musical influences consist of Blues, Rock, and Country. His concert will host original songs and his favorite covers from these genres. Jared has played the Lone Star state's' Lone Star Rally in previous years, and has become a Texas must-see concert for fans and motorcycle enthusiasts one-in-the-same. 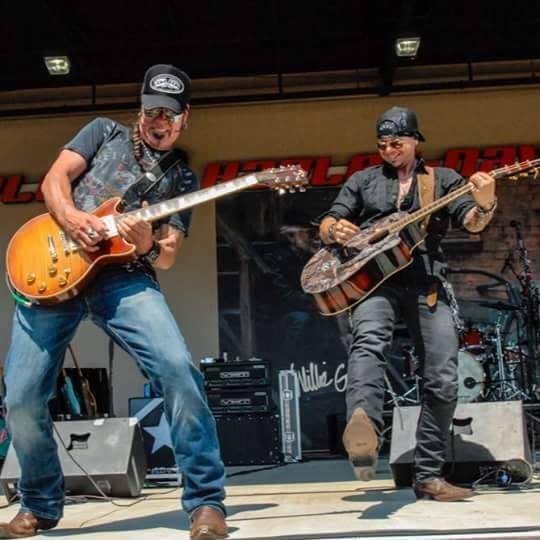 Jared Blake and his high-energy band will be performing at 9:30pm on Saturday, October 1st at 200 Crockett Street in Beaumont, Texas. Ticket and event information can be found at www.lacegracesgears.com. Press and media inquiries may be directed to The M3 Agency contact@them3agency.com. Jared Blake was first introduced to the world in 2011 on Season One of NBC's "The Voice" as an original member of Team Blake. Appearing before 14 million viewers weekly, the Country Rock rebel won the enthusiasm of audiences with his Grunge Rock style and R&B flair. From 2005-2008, Blake was signed with Sony Tree Publishing through hit songwriter Bob DiPiero. He went on to sign with Lucky Diamond Music where he co-wrote Texas Country music artist Curtis Grimes' hit single "Home to Me," which made it into the Top 5 on the Texas Music Charts in 2013. Blake has shared stages with Country acts as Lee Brice, Thompson Square, The Band Perry, and Randy Houser and has been featured in publications ranging from People to Rolling Stone magazines.